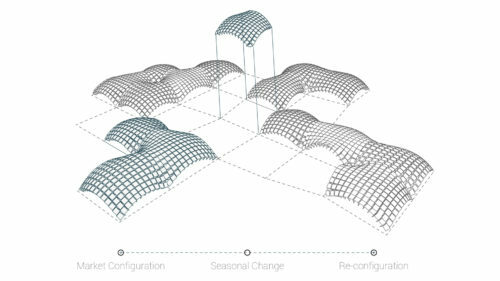 This research explores transient architectural systems as a means of regulating the long term consequences of ‘mega events’. 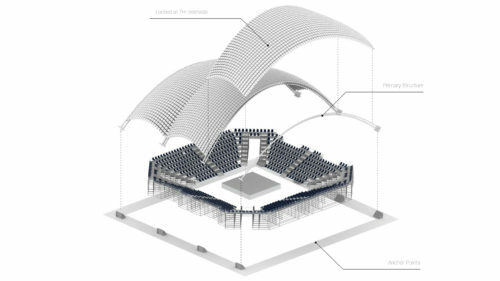 Mega events are large scale events such as the Olympic games which have long term consequences for the cities that host them. 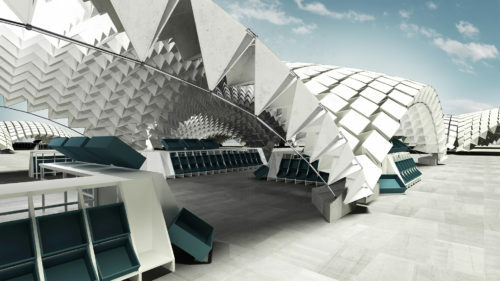 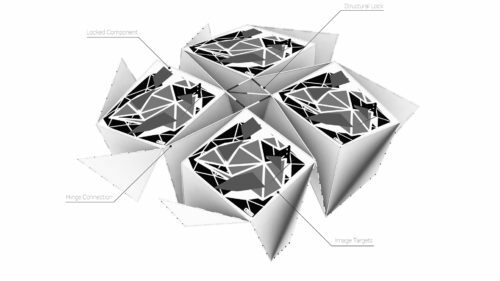 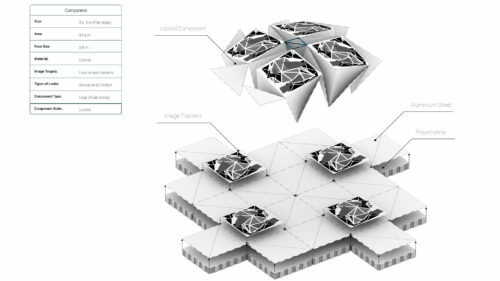 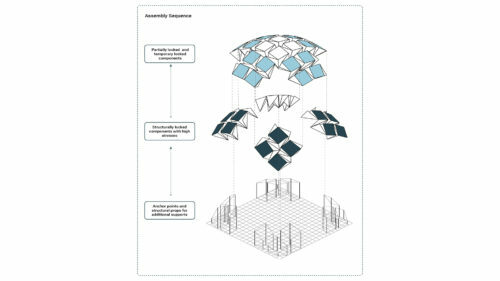 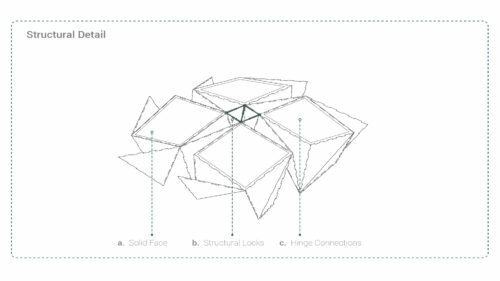 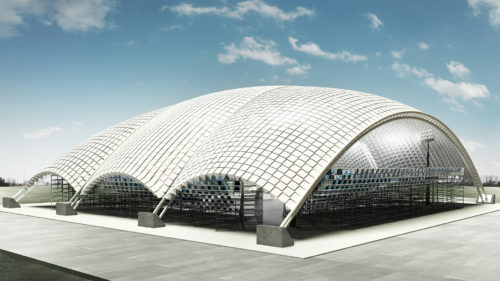 Within this context, the research studied the potentials of using folded sheet configurations to create a portable and reconfigurable structure as a temporary arena for use in such events. 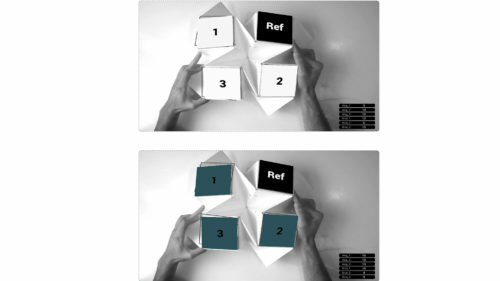 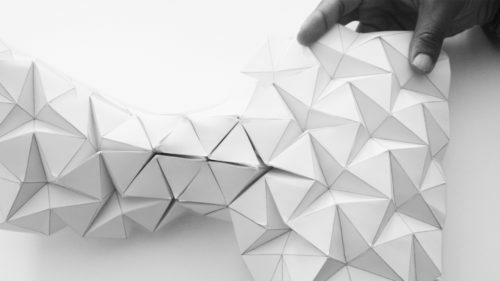 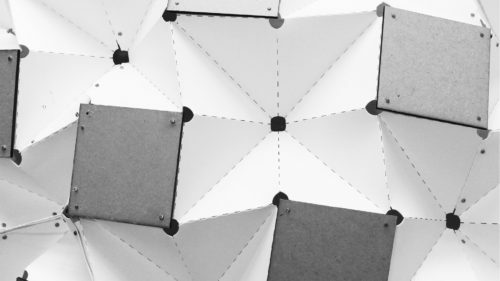 Through a series of digital and physical experiments a component based folded sheet system was developed. 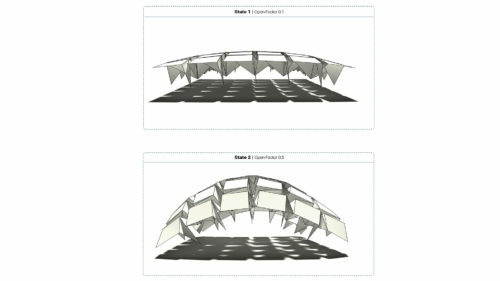 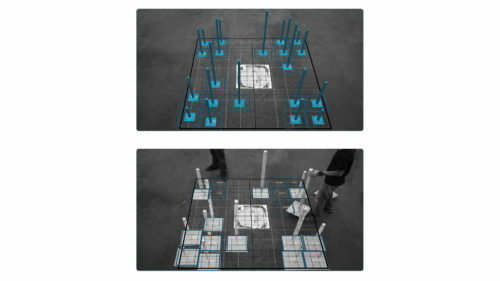 The use of the proposed structure after the event was as important as its use during the event and the design team therefore attempted to explore the ability of the material system to adapt to different contextual and programmatic scenarios. 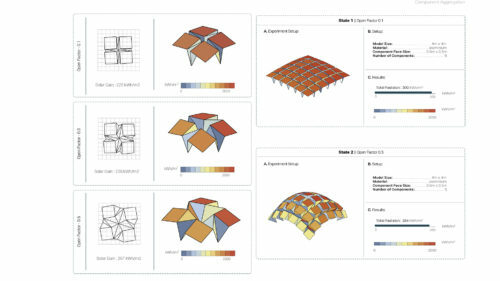 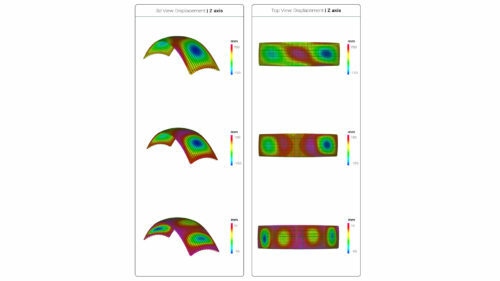 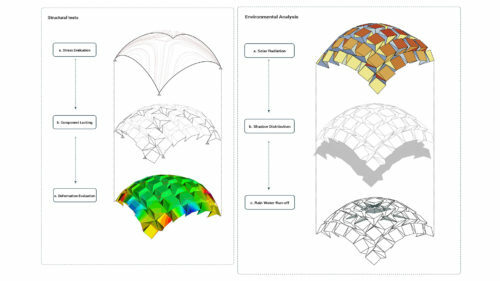 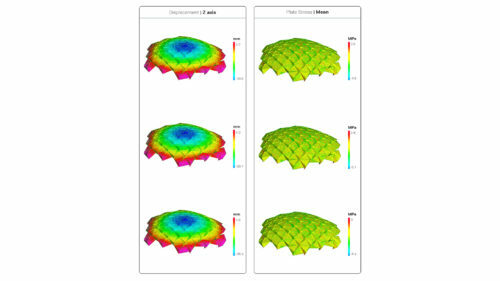 The post-event use of a market was proposed and structural and environmental analysis of the system at various scales were used to understand the properties of the folded sheet system in different configurations and develop protocols for its use. 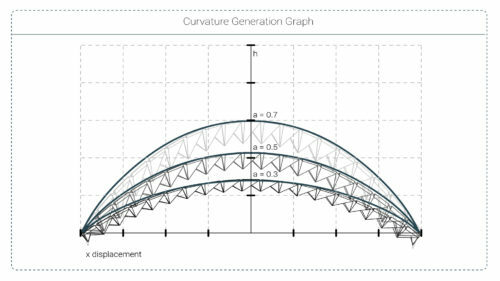 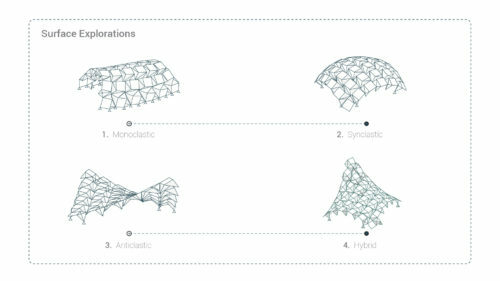 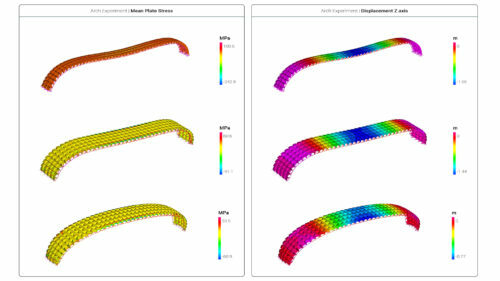 For both iterations of the structure, an assembly and structural logic were devised as both designs acted at different scales and performed different functions. 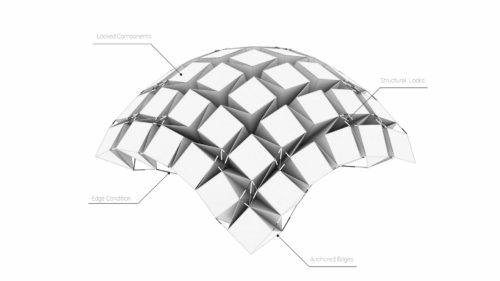 The reversibility of the system was one of the main design drivers and for this purpose different assembly methods were evaluated. 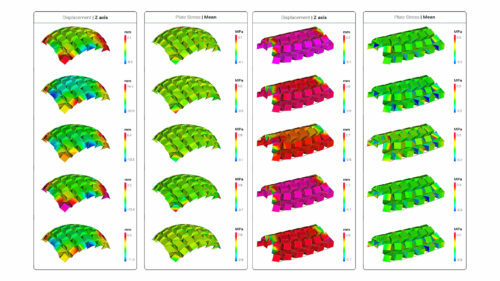 It was understood that the data for the system’s assembly and disassembly was as important as the component design itself and therefore specific attention was given to developing methods for linking assembly data to the system components. 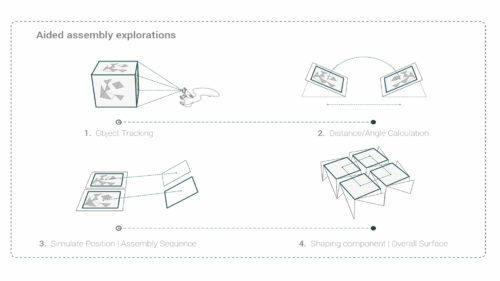 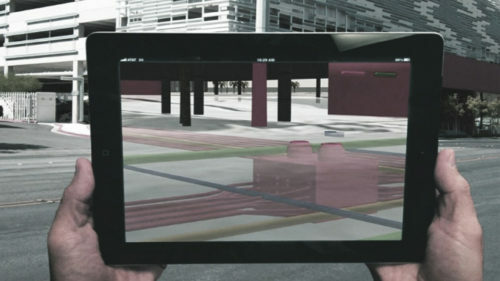 As part of these explorations, object tracking and Augmented reality applications were explored as tools for overlaying real-time construction information for the assembly and disassembly of the system components. 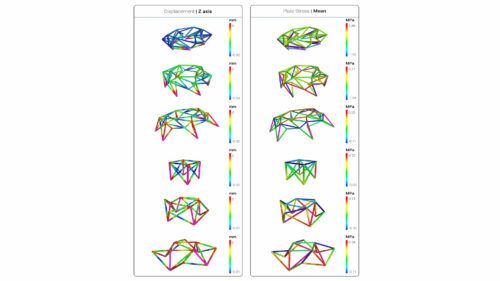 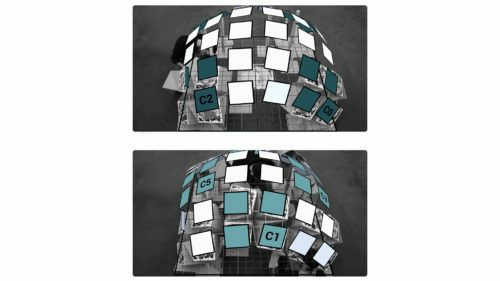 Experiments across multiple scales were conducted to study the various methods of translating digital geometrical information into a series of guided physical manipulations. 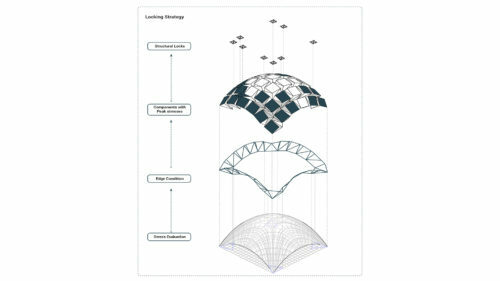 The research was conducted in Msc and MArch phases and concluded with an outline of the proposed assembly, disassembly and reconfiguration strategy for the structure as well as an overview of the detailing and material requirements of the component. 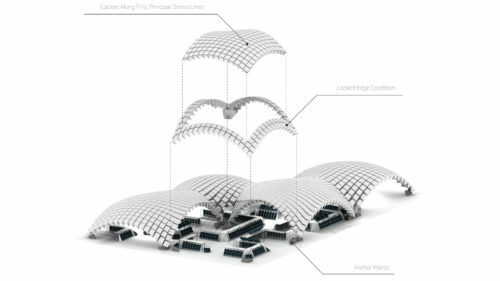 The viability of using the proposed guided assembly methods was also assessed and suggestions for its implementation into realistic construction scenarios were given.